Examples, solutions, videos, worksheets, stories, and songs to help Grade 6 students learn about customary units of capacity. 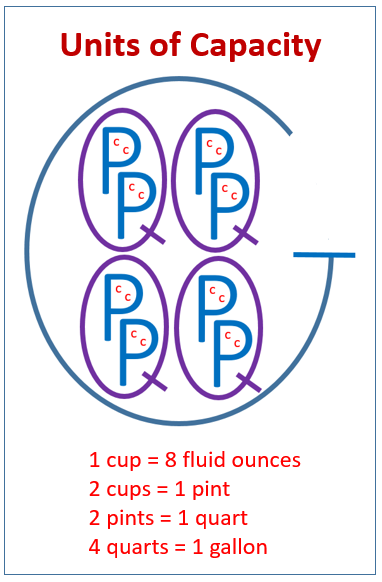 The following diagram shows the conversion table for customary units of capacity: fluid ounces, cups, pints, quarts, gallons. Scroll down the page for more examples and solutions. How to convert customary units of capacity?